We will brief the WOD/Standards at 10:10am. Heats will run every 25 minutes, first one starting at 10:20am & last one at 11:35am. Please arrive early enough to warm-up and ask any questions you might have. Good luck, athletes! Heyyyy look at that booty work dusty! Well done at 16.1’ers!!!! Phenomenal!! Samara (daughter) 14 yo scaled teen. 184 reps.
Rx’d for me: 137 reps (5 rds + 2 burpees). * 1st time to get that many chest to bar pull-ups in 1 day let alone 1 month or last 2 years of CF. 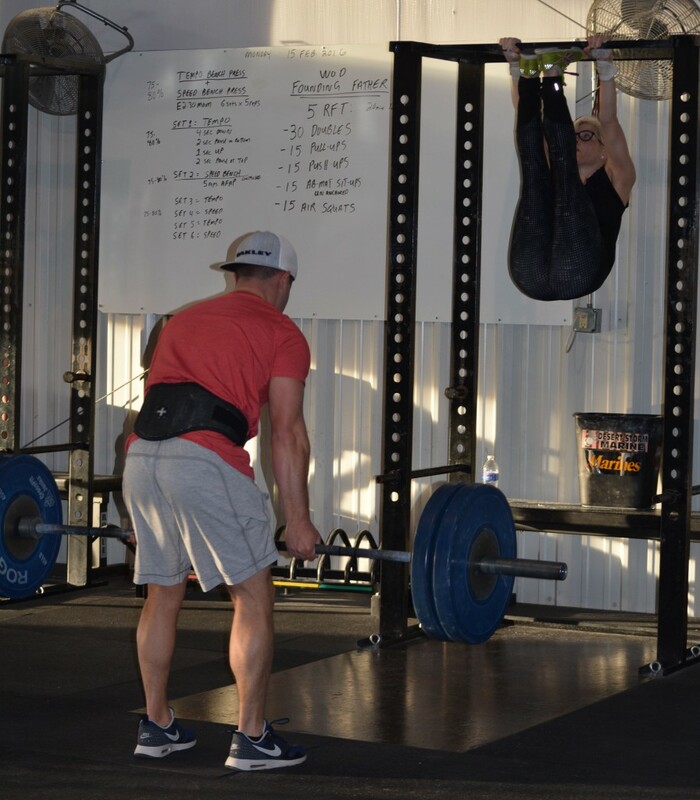 I love, love, love the CrossFit Open and the community that it fosters! Thank you so much to everyone who came and cheered on, helped out AND volunteered to judge! Awesome job to all of our amazing athletes!! Thanks for the motivation and judging, Sam!! What an incredible environment at CFJ. Thanks to everyone for all the cheering & encouragement. And thanks to Breck & Nicole for making it happen. Breck what time are you and Sydney going tomorrow? Awesome on all accounts! Seriously CF Jenks ROCKS!!! Looking at these 16.1 scores you all are putting up! My CrossFit Home is AH-MAZZZING!! Great job everyone!! Missing you guys this Open Season! Keep up the Awesomeness! Great job everyone! Love the atmosphere during the open. Congratulations to all the the participants in the Crossfit Open, Great job!!!! !